Corner of Route 1 and Kingfield Ave.
24 unit motel consisting of mostly non-smoking rooms with either 2 doubles, 2 queens or 1 king bed. 2 Smoking rooms available upon request. All rooms have a refrigerator; microwave; coffee maker; hair dryer; flat screen TV's; Wi-Fi. 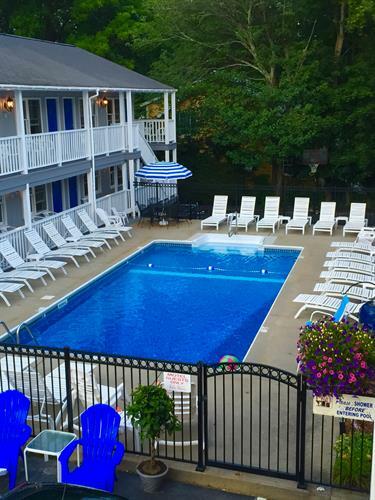 Outdoor Seasonal heated pool. Walking distance to beach, town and restaurants.Located on trolley route. Reduced off-season rates. From the South: Follow I-95 to York/Ogunquit Exit 7. Proceed to Route 1 North, follow Route 1 for 7 1/2 miles and we are on your right hand side. 1/2 mile from center of Ogunquit.